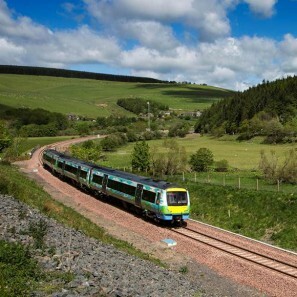 The new Borders Railway, connects Edinburgh Waverley to a new station at Tweedbank, in under one hour. Tweedbank station (TD1 3SP) is under 2 miles from The Boilerhouse Project, which is a 5 minute car journey or under 10 minutes by bicycle. The station provides free parking for 235 cars and sheltered bicycle storage for 20 bicycles. Edinburgh airport is 1hr 10 mins away and Newcastle airport 1hr 30 mins drive from the boilerhouse project. Celebrations for the opening of the Borders Railway in September 2015 included a visit from the Queen on the very day that she became the longest serving monarch in British history. First Minister Nicola Sturgeon also travelled on the steam train journey from Waverley. 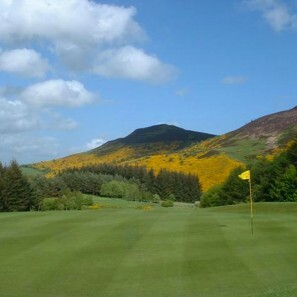 Melrose Golf Club, a nine-hole course at the foot of the scenic Eildon Hills, is located at walking distance from the Boilerhouse Project. It is amongst the 21 courses of the south east scotland region. Amongst these are Tweedale, Peebles Golf Club, the Roxburghe and Cardrona all in the local area. 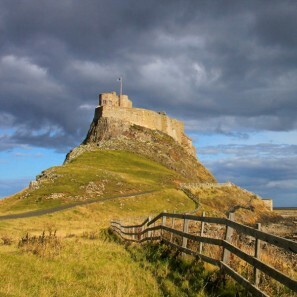 Inspired by the life of the saint, the St Cuthbert’s way is a beautiful 100km walking route linking Melrose with Lindisfarne on the Northumberland, also known as Holy Island. The 62 mile scenic route takes you from Melrose Abbey, where St Cuthbert became prior in the year 665, and skirts the historic Border country right the way across the causeway to the island of Lindisfarne, the resting place of the saint and his shrine. A spiritual man, St Cuthbert balanced a hermetic solitude with social work and became known as “The Wonder Worker”. Many people walk the route from the Borders to the sea updating it to a personal journey. 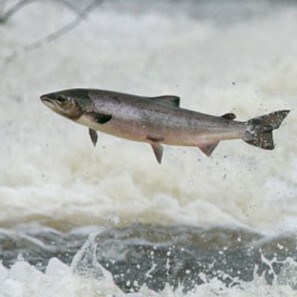 The local area is blessed with the River Tweed and its tributaries which offer world class salmon and wild brown trout fishing. Not only the beautiful banks of the Tweed but also the rivers Teviot, Ettrick, Leader and Whiteadder are all in the local area. Coarse fishing is also available in scenic lochs where other species can be found such as rainbow trout, carp and perch. The coast is not far away either, with sea angling from the sweet harbours of Eyemoth, St Abbs and the calm of Coldingham Bay. Rugby Sevens itself originated in the calm and prosperous town of Melrose back in 1883. Today the annual tournament, held in April attracts crowds of over 10,000 people. In addition, Melrose RFC is one of the oldest Rugby Union clubs in the world. The club colours are striped yellow and black hence the under 18s team is called the Melrose Wasps. 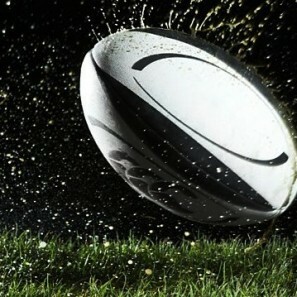 Rugby Sevens travelled from Melrose right around the world including to Africa, Asia, the Americas and the South Pacific and will feature in the 2016 summer olympics. Melrose Abbey, a Historic Scotland property, is a picturesque ruin whose stones date back to the late 13th Century. This ancient Abbey is now the burial place of Robert the Bruce’s heart which has had a long and tortuous journey. 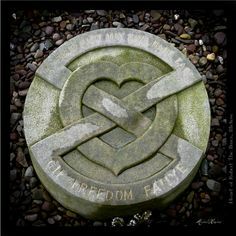 The warrior king who died in 1329 asked for his heart to be taken on the Crusades which it apparently was, the following year, and whatsmore returned to Scotland. The site itself has been associated with early Christianity since St Aidan founded a monastery nearby in 640AD. 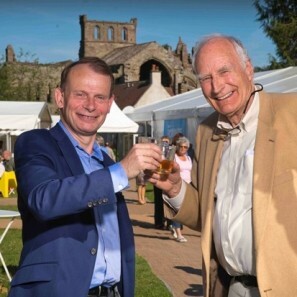 A thriving annual book festival hosted in the beautiful gardens of Harmony House, Melrose, the festival grows in stature each year. With events for all the family, the annual festival pulls in heavyweight names of literature, arts and politics each year. Complementing the brain food, the local fayre improves every year too with a bustling food and drink mini festival in the Orchard.